Barbara is a highly sought after speaker and has been invited to keynote at numerous conferences and other educational events across the country. She connects with the audience through engaging stories, sharing practical advice, and providing motivation that helps participants realize their potential. 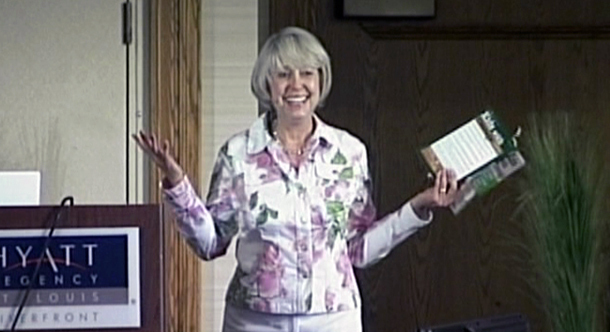 If you are interested in inviting Barbara to speak at your next conference or present fun and engaging workshops, please reach out. You can also download a PDF about her keynotes and workshops here. At a conference in St. Louis, Barbara shares a story from her book “Kids With Courage”. Seminars for teachers / students / administration / parents in many states, including: Arizona, Arkansas, California, Connecticut, Georgia, Illinois, Michigan, Missouri, New York, North Carolina, North Dakota, Oregon, Pennsylvania, Texas, Utah, Wisconsin.